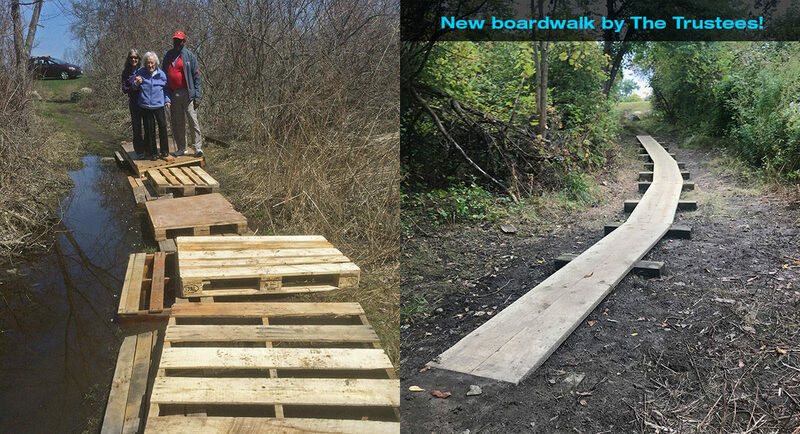 The Trustees have worked with volunteers to replace our heaps of old palettes with a series of lovely new boardwalks. There is a small wetland between the trail and the water tower that keeps that area wet all winter and into the spring. 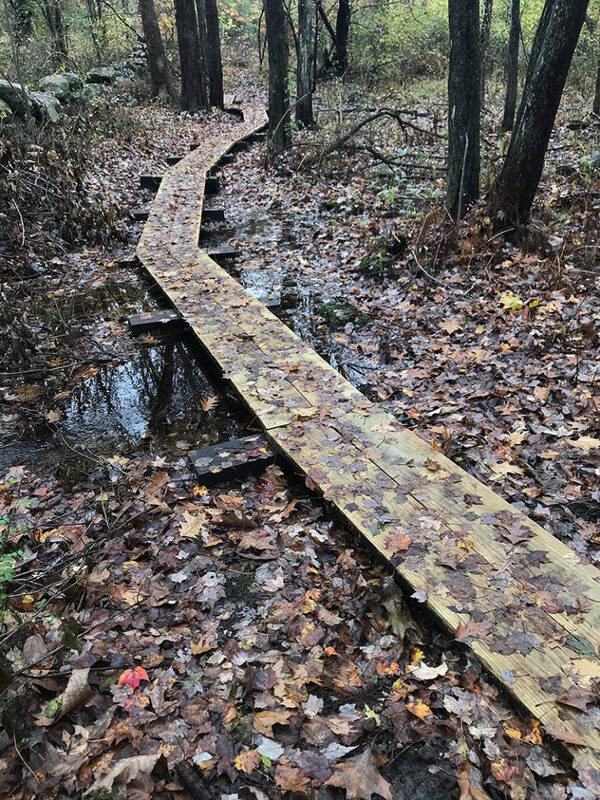 This most critical boardwalk gets walkers past the long, long puddle that develops just where many people enter the park at the soccer field kiosk. 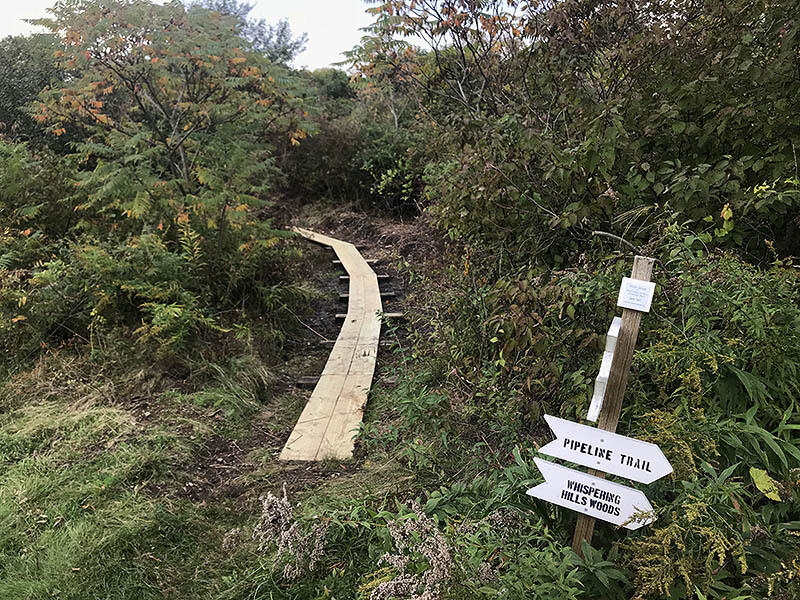 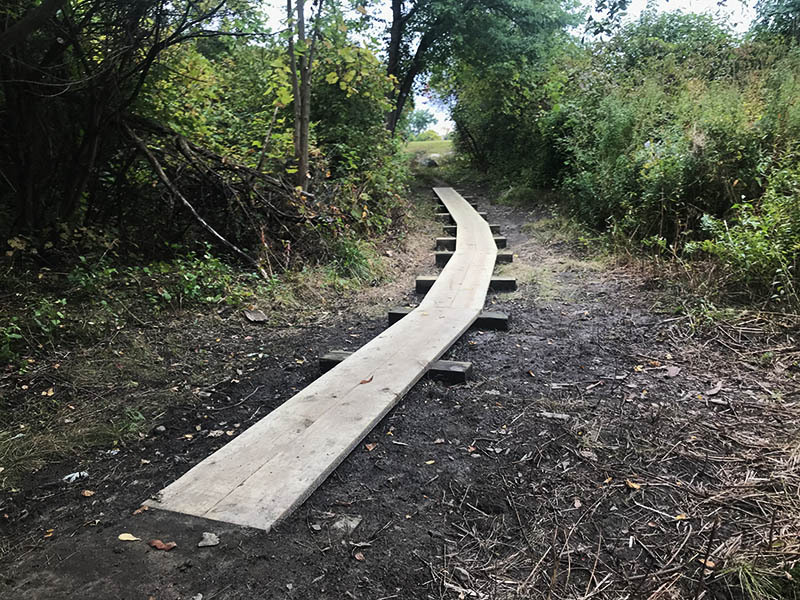 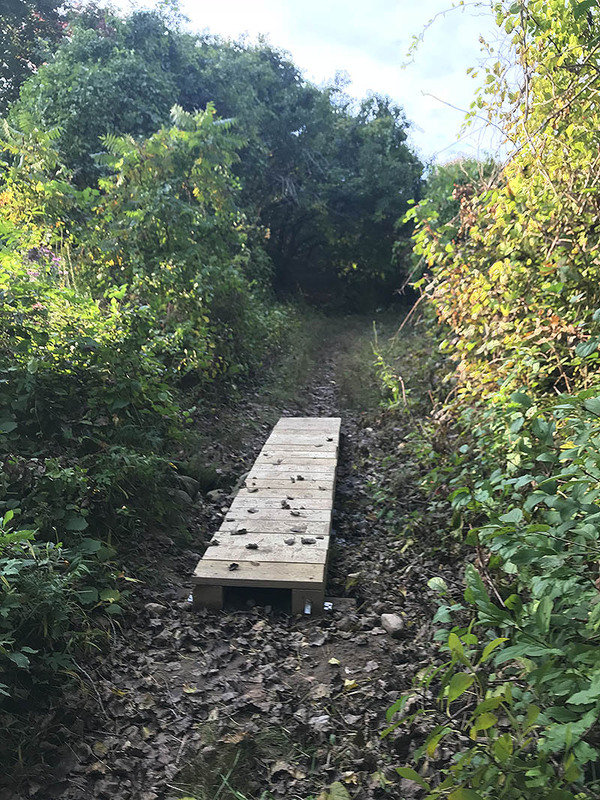 The Trustees’ knowledge of trail work and boardwalks is evident here, along with their ability to muster volunteer efforts. 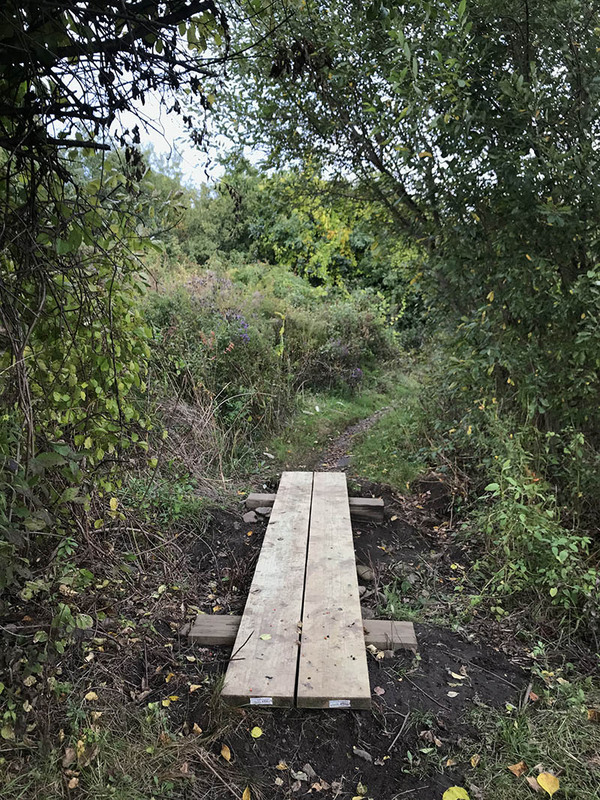 Below is a gallery showing a range of the many boardwalks and bridges that the trustees installed this fall.